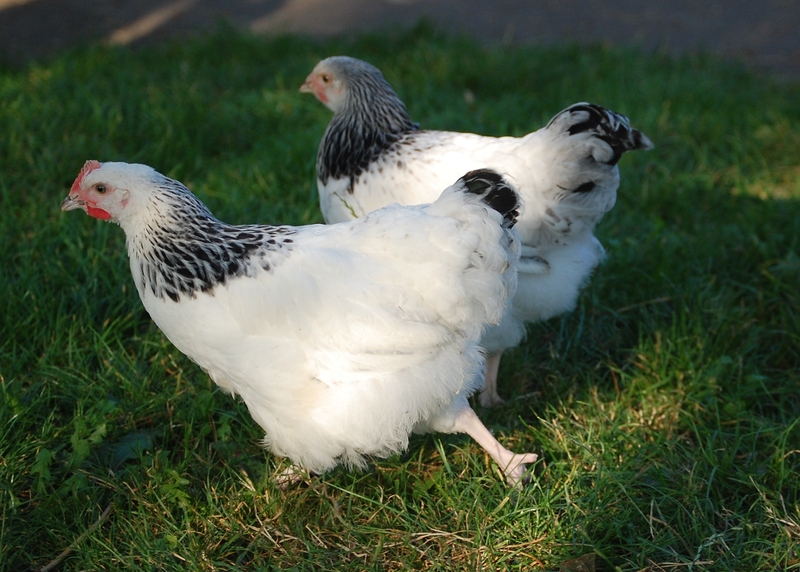 These are eight week old light Sussex chickens that we have just added to our free ranging flock. 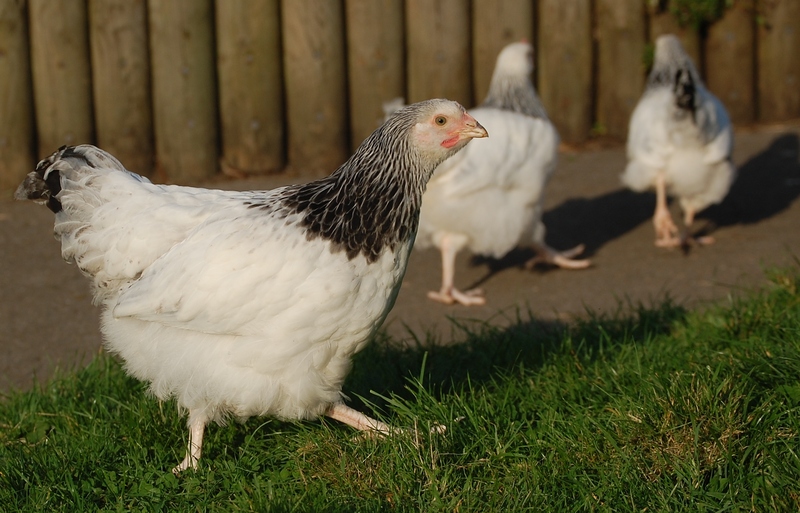 These friendly birds are one of the oldest of the British chicken breeds. 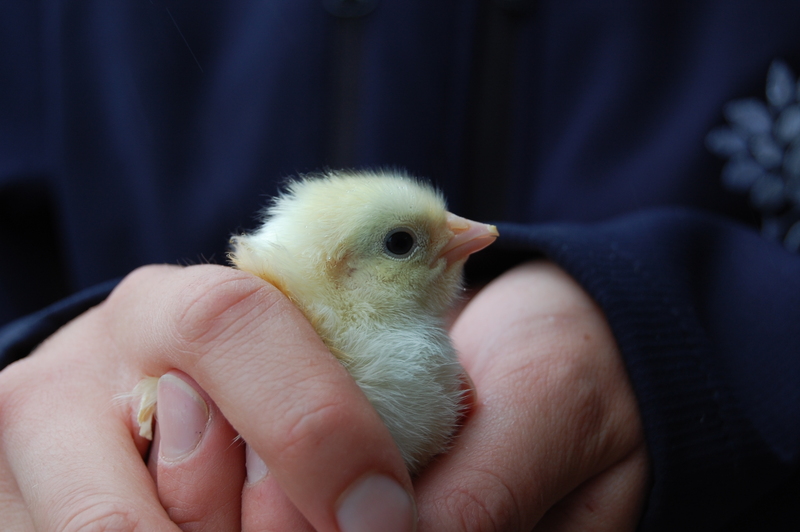 The hens can lay well over 200 eggs a year. 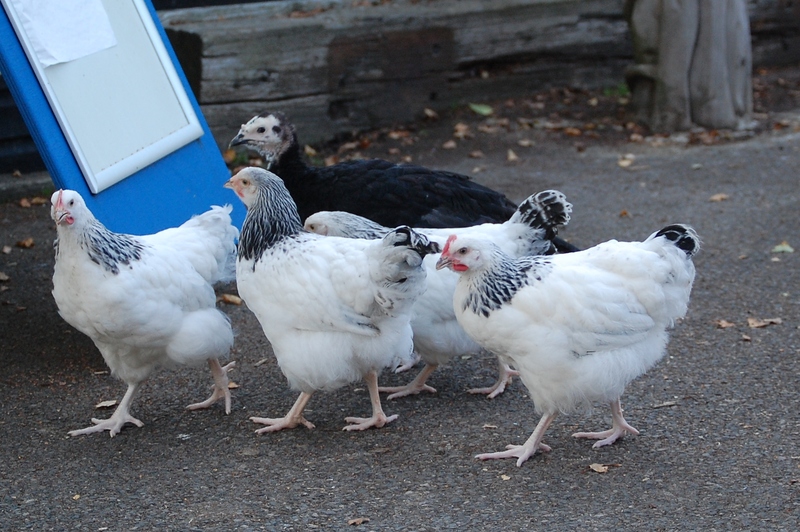 Also in the flock is a young Norfolk black turkey.